Fall is in the air here in Atlanta. It’s cooling down and the trees are just beginning to turn, the colors warming up. Soon the landscape will be lit with brilliant warm hues. 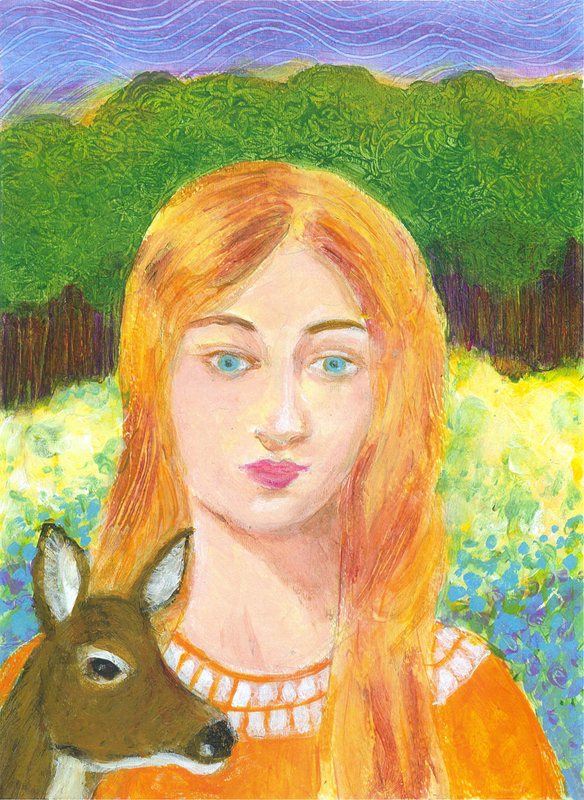 I used these warm colors in my new painting, Girl with Young Doe, the second in my series of children. I’m pleased with her, portraits are getting easier for me, practice makes perfect as they say. 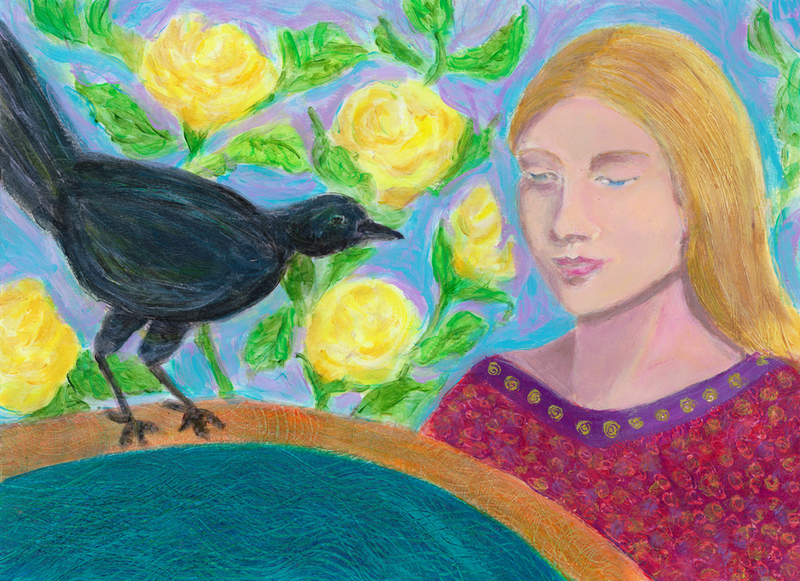 I wanted to project a young women who is innocent as the doe yet clear about who she is and in touch with the natural environment that surrounds her.